Three pretty polishes from Moo Moo's Signatures - Polish Etc. Today, I have a few pretty polishes from Moo Moo Signatures. This indie nail polish is based out of Singapore and is the brain child of the owner of Mei Mei Signatures. She know all about indie polish because she has been a large international nail polish stockist for many years. 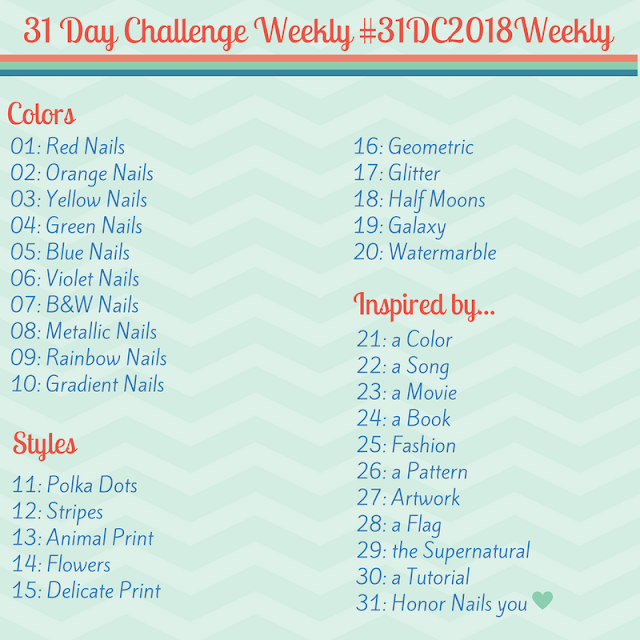 I have three polishes to share with you. They are from different collections but are all still being sold and restocked with international shipping. Let's take a look! "Moment Romantique" is a grey toned champagne creme with a soft linear holographic shimmer, real silver flakes and a gold flash. 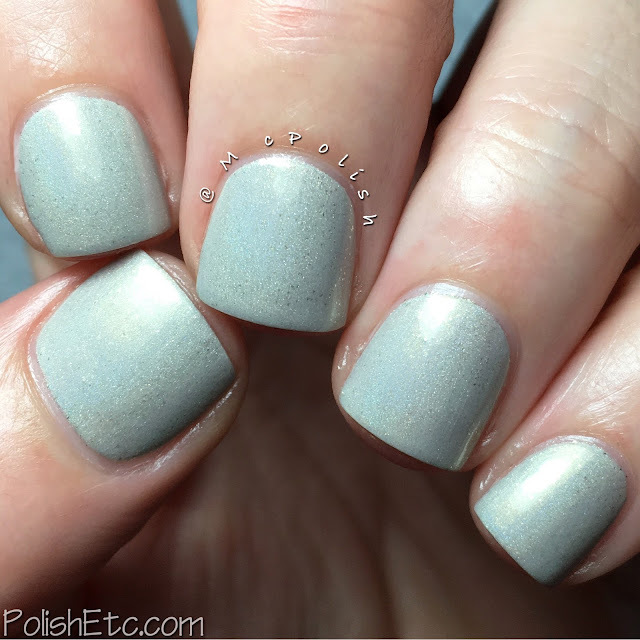 This polish is definitely more cool toned than warm. I love the mix of metals here: silver, gold and platinum. Even though this is a light color, it was fully opaque in two coats. I like it! 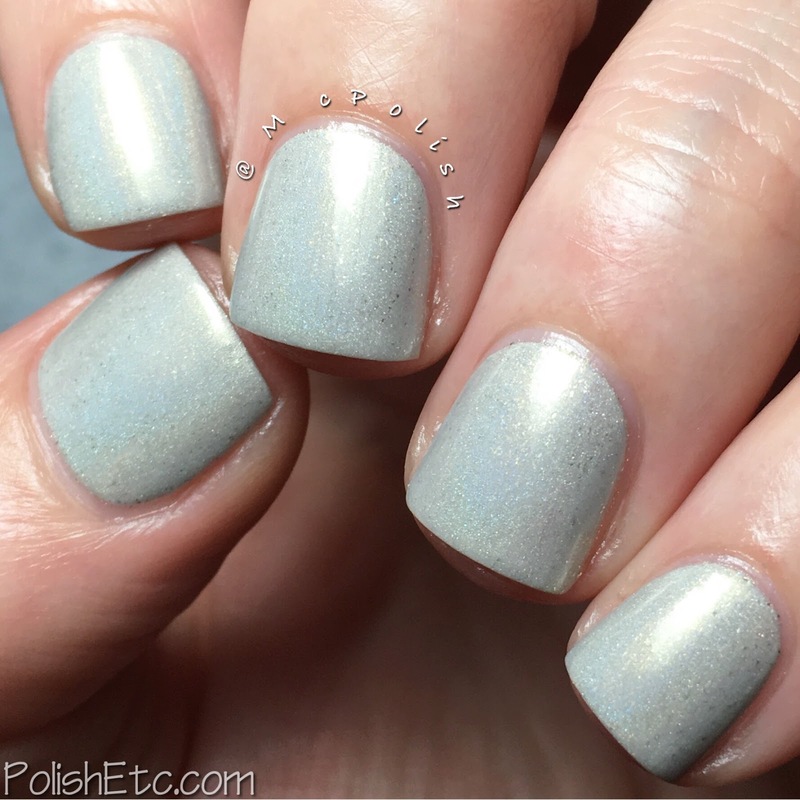 "Holo Burrow" is a brown crelly with scattered hologarphic shimmer. This, too, was more on the cool side of brown than warm. I really like it because I enjoy brown polish. The formula was quite nice with just two coats needed for full opacity. This is topped with a glossy top coat here. "Moo Spell" is a deep purple/plum color creme with a bright turquoise shimmer and tiny red/pink glitters. The base of this polish has a slight duochrome effect and I get a little bit of red at extreme angles. This was two coats with a glossy top coat. Moo Moo's Signatures is always coming out with new colors and restocking older shades. Be sure to follow them on social media and check out all the cult little needle felting animals that are also sold in the shop. Each polish actually comes in a little bag with a complimentary needle felted ball. Cute, right? I love all my little MooMoo's :D and can't wait for my picks out of the new collection.